Happy (belated) Fourth of July, everyone! In patriotic spirit, I decided to throw together a themed and group-friendly summer dessert. Filled with fresh berries, spongy cake, and sweet and tangy vanilla + cream cheese whipped layers. It’s almost too good looking to eat—almost… but my guests and I readily gobbled up this delicious dessert! 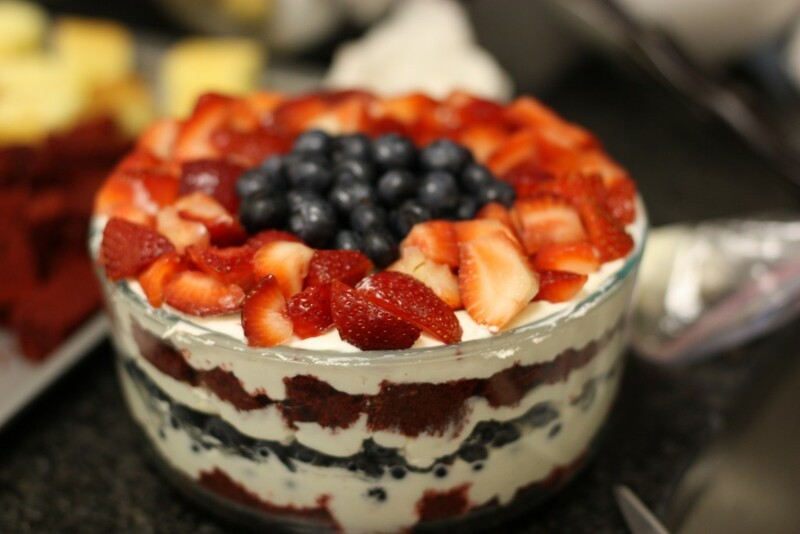 On the bright side, this beautiful trifle was the perfect way to celebrate the day of red, white, and blue! I regret to say (again) that I failed to post this early enough to be a holiday dessert inspiration (I promise I had this ready beforehand, but travel threw my schedule off) but the trifle is such a versatile dessert that could be made for just about any event! For one, it can feed A LOT of people with its many layers of fluffy cake, cream, and fruit. Secondly, it’s easy to replace ingredients to fit the occasionp; as an example, I choose to feature a red velvet cake to go along with the patriotic theme of the weekend. But what I really appreciate about this dessert is its ability to be single-served. Look how adorable it looks in a stemless white wine glass?! 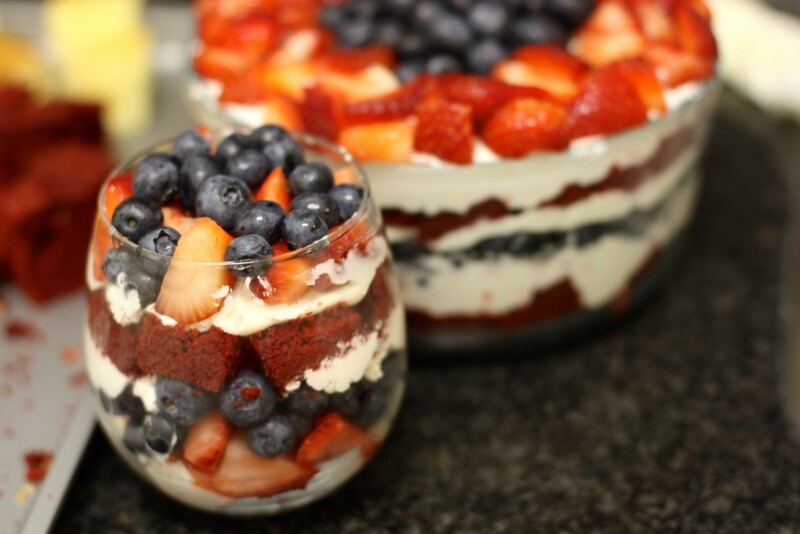 The perfect layers of red cake, white cream, and blue berries are easily visible; and the wine glass trifle glasses make it so easy for guests to enjoy a mini trifle without needing to scoop out portions from a gigantic bowl. In a chilled or cool bowl, whip the heavy whipping cream with an electric mixer on low to medium until soft peaks start to form. Add confectioner's sugar and vanilla and continue whipping until stiff peaks and an airy fluffiness forms. Beat softened cream cheese on low with an electric mixer. A third at a time, slowly add in 1/3 of the greek yogurt, confectioner's sugar, and vanilla extract. Repeat and continue mixing until soft peaks form. Cut cake or tear into 1-inch cubes. Prep and wash berries; core and slice strawberries. Add a layer of cake to the bottom of the trifle bowl*. Top with a layer of whipped cream followed by the cream cheese layer. Add a layer of fresh berries followed by a light layer of whipped cream. Repeat layers again, ending with a layer of whipped cream and/or a cream cheese layer. Use a spatula to smooth out the surface. Add a generous heap of berries or decorate as desired to top layer. Loosely cover and place in refridgerator to set and chill for ~2 hours. This dessert can be made a day in advance and chilled overnight. Serve chilled; scoop onto bowls or plates and enjoy! * If you don't have a trifle bowl (like me), you can use two 7-cup Pyrex glass storage bowls as a substitute for the serving bowl. 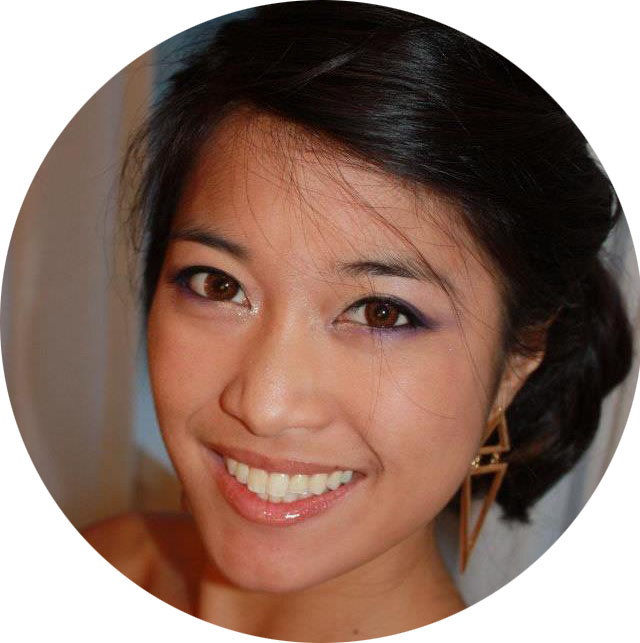 Layering order is merely a suggestion; I would love to hear how you've experimented with different ingredients and layering methods! Wishing that everyone had an enjoyable holiday weekend and Happy Birthday, America! Have you tried variations of the trifle and if so, what are your go-to ingredients and flavors? Thanks for stopping by, I’m always open to hearing from you so please leave your thoughts and feedback in the comments below!